And here I am talking about the RED WINE…. In fact, the new study, scheduled for the Aug. 23 issue of the ACS Journal of Agricultural & Food Chemistry, challenges the idea that red wine is more heart-healthy than white wine. This cardio-protective effect has been attributed to the antioxidants present in the skin and seeds of red grapes! These antoixidants also called flavonoids reduce the risks of coronary heart diseases by decreasing LDL cholesterol levels (bad cholesterol), by increasing HDL cholesterol levels (good cholesterol) , and by reducing blood clotting! But… One unique antioxidant present in the red grapes can inhibit tumor development, and has proved to be efficient in the formation of nerve cells… This antioxidant is called RESVERATROL. What about grape juice and non-alcoholic red wine?? There is a lot of debates concerning that issue! In 1997, researchers at the University of Wisconsin concluded that purple grape juice also reduced blood clotting. However in a 1998 study, Japanese researchers found that while grape juice still had antioxidative benefits, it didn’t lower LDL cholesterol levels compared to red wine. N.B: People with medical and social conditions worsened by alcohol should not consume any alcohol!! Examples of these conditions include: Hypertryglyceridemia, pancreatitis, liver disease, uncontrolled hypertension, depression, pregnancy. 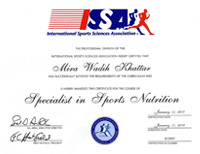 In one of my previous posts, when I talked about anemia and its treatments, I have mentioned that some food items can enhance Iron absorption, and others can inhibit it. 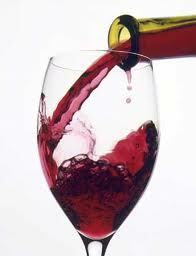 Red wine is considered one of the iron absorption inhibitors while white one of its enhancers! 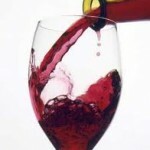 So, if you suffer from anemia, avoid consuming red wine with iron-rich foods!